Steve and Leslie Reilly were scared. The retired couple, living on an acre in the tiny town of Roblar—a cluster of small acreage properties a few miles west of Templeton—already went through the disturbing and expensive experience of seeing their well go dry in the summer of 2014. The ordeal cost them about $30,000. WELL WORRIES: Steve and Leslie Reilly, residents of Roblar west of Templeton, joined their neighbors in protesting plans for an agricultural pond and vineyard nearby. They argued that the pond posed a threat to their water supply. So, in late November, when the Reillys and dozens of other Roblar residents found out that a neighbor, John Coakley, was putting in a new vineyard and an agricultural pond across the road on 120 acres, they immediately feared a déjà vu experience. The first phase of Coakley Vineyards is what was the most distressing to neighbors: the construction of an irrigation reservoir—also known as an ag pond—to hold 3.3 million gallons of water when full. The pond would be filled (and replenished after depletion and evaporation) with groundwater from three wells on the property. To the locals surrounding the property, the plan posed a very real threat to their water supply. Steve and two other concerned landowners met with one of the Coakley project leaders, Randy Heinzen, the chief operating officer of local vineyard management and consulting firm Vineyard Professional Services, to discuss their qualms about the project. Neither Coakley nor Heinzen responded to requests for comment from New Times for this story. According to Steve, the meeting only exacerbated their fears about the pond’s potential stress on surrounding groundwater levels. In general, groundwater is unpredictable in the Adelaida region between Templeton and Paso Robles west of Highway 101—where Roblar is located. The Paso Robles Groundwater Basin, to the east of Highway 101, receives the lion’s share of SLO County’s attention, because it’s classified by the state as a basin in “severe overdraft” and in need of regulation. But what’s happening with the groundwater west of the basin’s boundaries is much less examined and understood. Hydrogeologically, it’s more complex—a maze of fractured bedrock holding pockets of groundwater, at varying elevations, that interconnect in some cases. “There’s not a sufficient amount of scientific study to say really what’s going on,” Steve, a former scientist with the National Oceanic and Atmospheric Administration, said. That’s a sentiment everybody who spoke with New Times agreed with. What residents in the region know for sure is that the water levels are much lower than they used to be, and, at the same time, commercial agriculture is on the rise. A region well known as a place to dry farm is increasingly getting sucked dry by more and more irrigated agriculture. One of the Reilly’s neighbors, Mark Emmans, shared a similar viewpoint. Neighbors of the proposed vineyard in Roblar mobilized into action. They started a group email thread to stay organized and informed. They alerted SLO County officials to their situation, and spread the word at a Templeton Area Advisory Group meeting on Dec. 15. 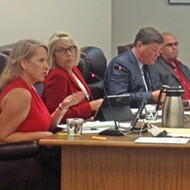 By mid-December, the community had the SLO County Board of Supervisors’ attention. Locals also tracked down the permit for the ag pond. In February 2015, Coakley obtained a grading permit for the pond through SLO County’s Alternative Review Process, administered by the Upper Salinas-Las Tablas Resource Conservation District (RCD). POND PROBLEMS: This 4-acre-foot ag pond serves a vineyard on Willow Creek Road west of Templeton. The permitting process for ag ponds is under fire after a series of controversial ag ponds inflamed tensions in the community over water availability. 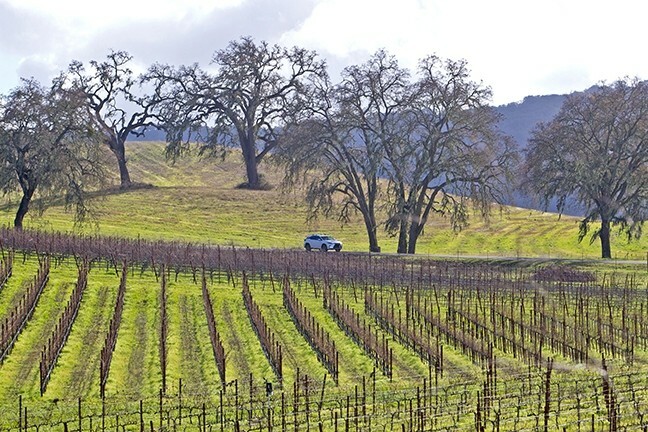 Established in 1999 by SLO County, the Alternative Review Process is a permitting process that provides landowners with an expedited means to get agricultural grading permits for projects like grading for new vineyards, vegetation removal, and roads and trails, in lieu of going through the more cumbersome county permitting process. The RCD assumes the role as “lead agency” for projects that are sent through the alternative review. According to RCD Executive Director Devin Best, the RCD is a nonprofit and “non-regulatory” agency that contracts with landowners—whether they are state parks or grape growers—to assist them with projects and implementing best practices to protect watersheds. Best believes that SLO is the only county in the state that delegates permitting powers to a RCD in the form of an alternative review process. It wasn’t until 2010 that SLO County added agricultural ponds to what the RCD reviewed as part of the alternative permitting process. Prior to 2010, constructing an ag pond didn’t require a permit at all. County officials said ag ponds were added to the Alternative Review Process after a few cases where landowners abused the ag pond exemption to build water structures that weren’t for ag purposes. But the RCD’s review of ag ponds proved to be insufficient for what started coming through for alternative review. As the drought began putting extraordinary stress on North County’s groundwater in the early 2010s, Paso Robles continued growing as a world-renowned destination for wine ventures. And the system in place wasn’t ready to regulate the influx. Since 2010, the RCD has permitted 21 ag ponds. 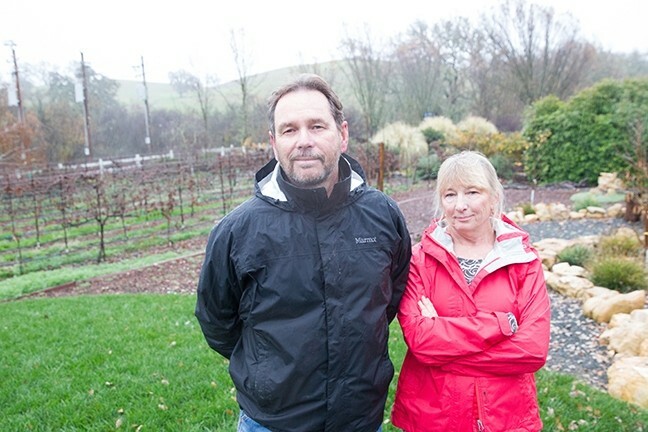 The first wave of massive ag ponds that came through the RCD was proposed by Justin Vineyards and Winery, a brand of The Wonderful Company owned by Lynda and Stewart Resnick, in 2011. The Resnicks purchased Justin Vineyards in 2010. The company obtained grading permits through the Alternative Review Process for two 45-acre-foot ag ponds near Creston overlying the Paso Robles Groundwater Basin—each holding about 15 million gallons of water. By the time construction started on those ponds, the drought was in full swing and the project’s neighbors, who were just learning of the ponds for the first time, were beside themselves and feared catastrophic water impacts, according to county officials. Controversy over the process reached a tipping point last year after The Wonderful Company was caught clear-cutting thousands of oak woodlands west of Paso Robles to make way for a new vineyard and 20-acre-foot pond for irrigation. Aerial photos snapped by neighbors revealed the naked, bulldozed hills, once golden and dotted with rolling acres of native oaks. The images enraged the community, but SLO County had nothing on the books to explicitly outlaw tree removals. The incident forced the county to make changes. In August 2016, the Board of Supervisors passed two urgency ordinances: one to prohibit removing native trees, and the other eliminating the Alternative Review Process for permitting agricultural ponds. But the Coakley Vineyards’ ag pond was permitted before county supervisors got rid of the alternative process, even though the project didn’t become visible to neighbors until November. Roblar residents couldn’t believe that the Coakley Vineyards’ ag pond passed a water impact analysis in 2014-2015, without any red flags, en route to a permit via the Alternative Review Process. But there weren’t any red flags because the potential water impacts of the pond were never studied. 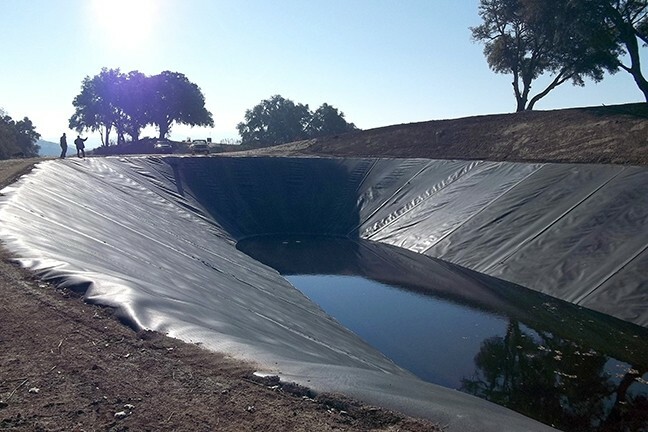 Even though a water impact determination is required by the California Environmental Quality Act (CEQA) to issue a grading permit, according to RCD Executive Director Best, the alternative review policies do not require a hydrology report for an ag pond. When the RCD evaluated the proposed ag pond, it only considered the water impact of filling the pond once—not its long-term water use after evaporation and depletion. IRRIGATE OR DRY-FARM? : The Adelaida region west of Highway 101 in North County has seen an uptick in irrigated agriculture in recent years due to water restrictions placed on land above the Paso Robles Groundwater Basin, east of Highway 101. Airlin Singewald, a senior planner in the SLO County Planning and Building Department, said that’s a legal shortcoming of the Alternative Review Process and why the county eliminated it with the urgency ordinance last year. Best basically said that regulating the ongoing water use for the ponds is out of the RCD’s purview. But he also told New Times that he had asked the agency’s board of directors in 2014 to consider revising the Alternative Review Process policies to address those shortcomings, but the board took no action. RCD Board President Michael Broadhurst deferred to Best to answer questions from New Times. Heinzen, the project leader for Coakley Vineyards, is also on the RCD board of directors. By its own admission, the RCD was ill prepared to serve as the lead regulatory agency weighing the groundwater impacts of heavy-duty commercial ag ponds in the middle of a historic drought. Amid the mounting concerns about the Coakley pond’s groundwater impacts, on Dec. 19, Best severed the RCD’s agreement with Coakley. The permit for the ag pond was revoked. Residents of Roblar rejoiced in victory. Coakley demanded his money back. Best expects that Coakley will sue the RCD. While this particular drama had a storybook ending for neighbors, the larger question of how SLO County will address future water vs. property rights battles in Adelaida may never have one. The county is working on a permanent ordinance to greatly reduce the role of the Alternative Review Process in permitting ag ponds. The ordinance will require most ag ponds to be reviewed by SLO County, which will include water studies when necessary. The ordinance will likely also require ag pond applicants to directly notify neighbors about the ponds. In 2014, SLO County tightened up its oversight of water use over the Paso Robles Groundwater Basin when the supervisors passed an ordinance requiring that any new irrigated agriculture or construction that pulls water from the basin be offset by eliminating an equal existing water use. But, as a consequence of those restrictions, SLO County saw an increase in new irrigated agriculture ventures in the Adelaida region. 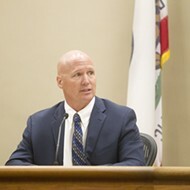 Newly elected SLO County 1st District Supervisor John Peschong said he would be interested in looking at zoning North County for types of agricultural uses, such as designating certain land for dry farming versus irrigated farming. For example, Adelaida and its tenuous groundwater situation may not be a sustainable location for heavy irrigation. Adelaida community members are torn over solutions. One local vineyard owner said that 99 percent of landowners are responsible stewards of the land and considerate neighbors. The last thing he wants to see is more government interference. But some of the recent behavior from bad actors, coupled with the drought, has him wondering if more oversight is needed. Colleen Runyen, another Adelaida resident, hoped these crises could lead to a culture change toward conscientiousness in the region. “I moved to Idaho for 15 years, and the water law is very complex, but you dare not drill a well and just pump and hoard water, and deny your neighbors of water,” Runyen said. Best, with the RCD, is spearheading an effort to study the hydrology of the groundwater in Adelaida as part of a SLO County Watershed Management Plan. He said it’s crucial to understand the area’s “water budget,” or the annual yield of water, to better balance human consumption with what’s available. He doesn’t see the issue going away, no matter which agency oversees ag ponds in the future.